Hey y’all! 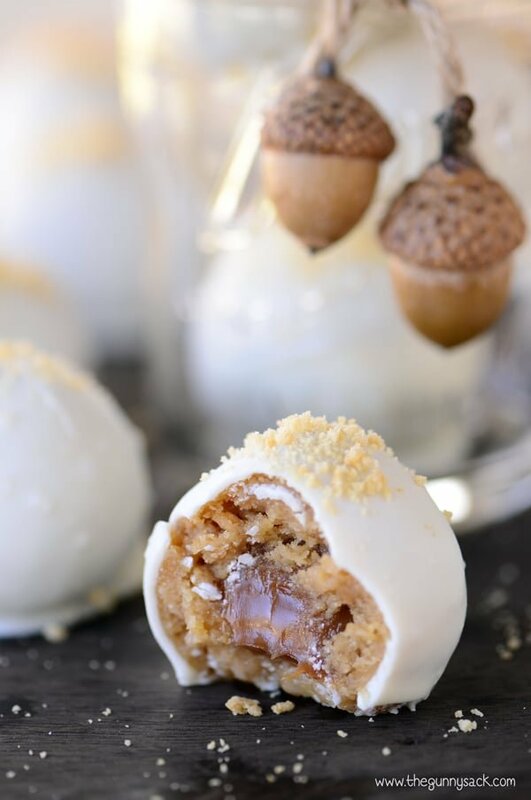 I’ve finished up my 6-part series on the “Phenomenal Fall Favorites,” and I thought it would be nice to gather all the blog posts on this fun topic and have them in one spot for you! It’s loaded with lots of beautiful and inspiring photos from other fabulous bloggers around the worldwide web. So grab a fuzzy blanket, snuggle up on your comfy chair and check out these following posts. Prepare for inspiration overload! Enjoy! Thank you so much, again, for taking the time to read these posts. Your encouraging comments mean so much to me! If you’d like to see more inspiration-filled photos, stop by and say hey on Facebook, Twitter, Instagram and Pinterest….Or even leave a comment below. I’d love to hear from you! Have a wonderful day, wherever you are! Thanks for stopping by! 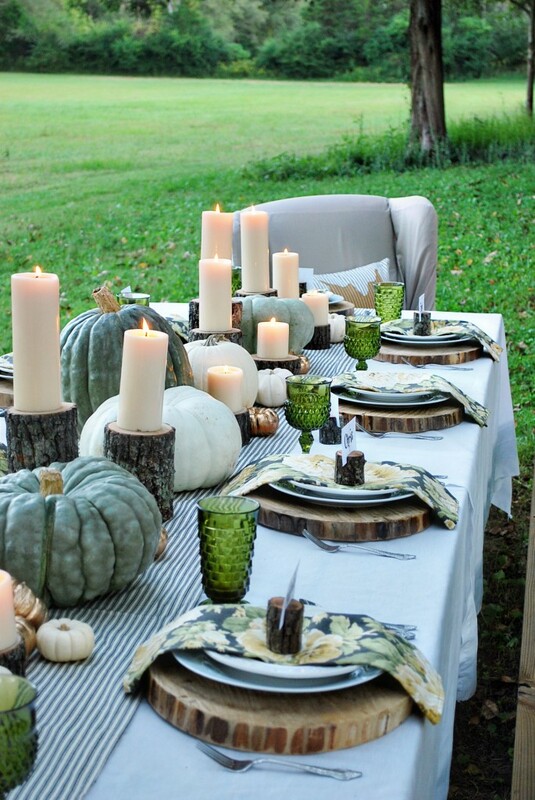 I just finished up Modern and Rustic Fall Tablescapes, part 5 of the “Phenomenal Fall Favorites” series. 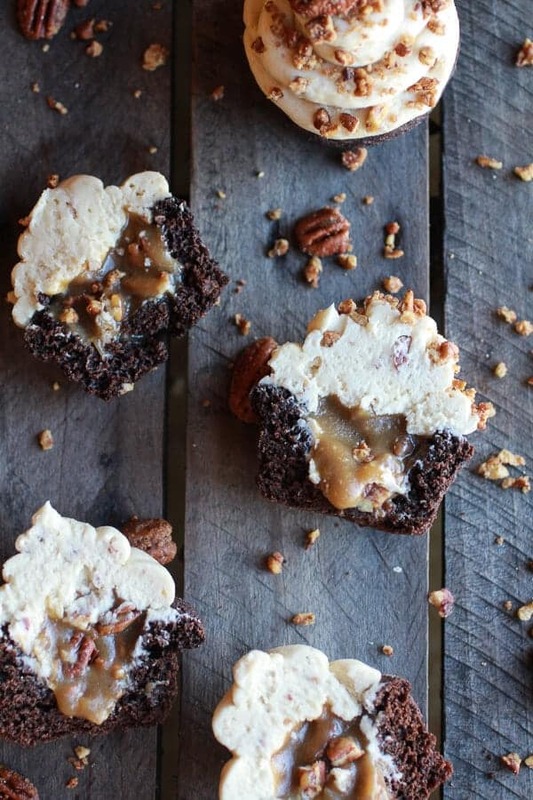 So naturally, the next and final post for this series is Delectable Desserts for Fall! 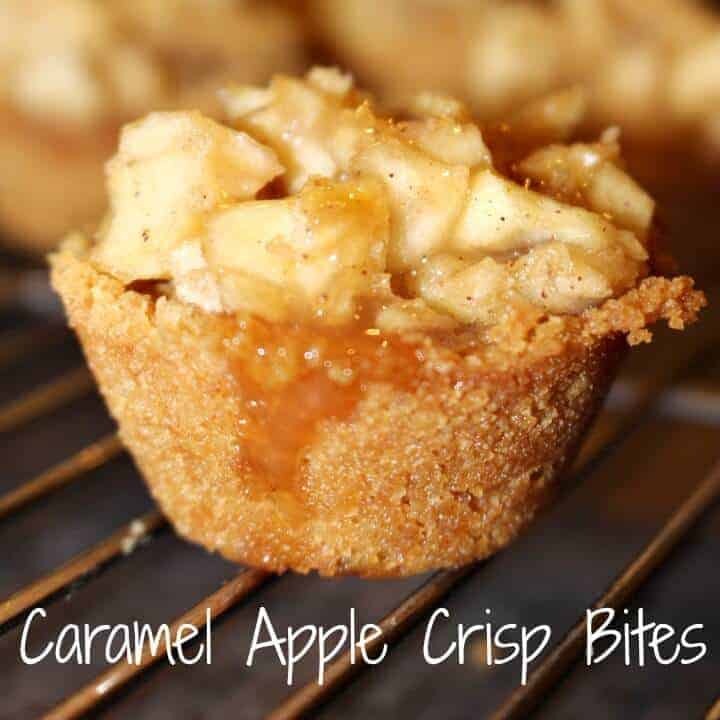 With Thanksgiving just around the corner, we all need that yummy recipe that’ll satisfy everyone’s sweet tooth. And so in this post, I hope you find that “special” one…just in time for your gatherings with family and friends! Well, there you have it…lots of delicious recipes for all your parties and get-togethers! 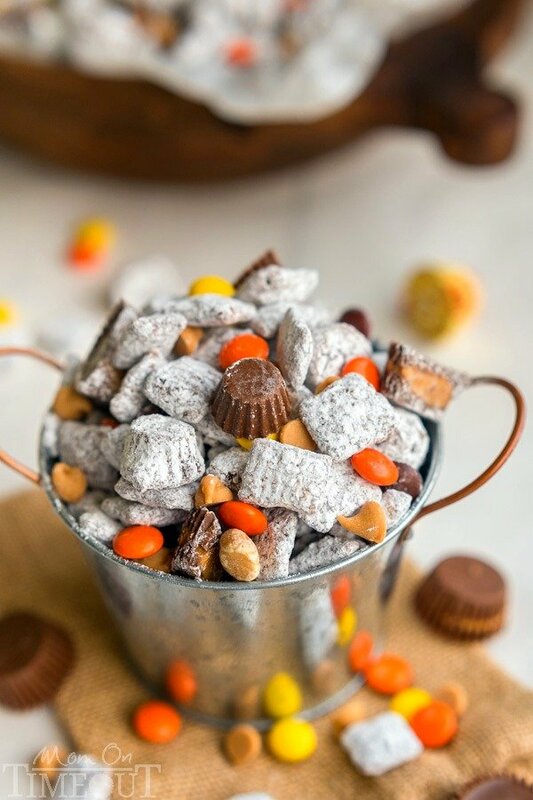 Is your mouth not salivating right now??!! Mine sure is! If you decide to test any of these recipes out, I’d love to hear all about them! Also, if you’d like to see all 6 posts in the “Phenomenal Fall Favorites” series, click here for the compiled list. I’d love to hear from y’all! You can stop by and say hey on my Instagram, Facebook, Twitter and Pinterest…or comment below! 😉 My readers are the best! Hey y’all, and welcome to part 4 of the “Phenomenal Fall Favorites” series! 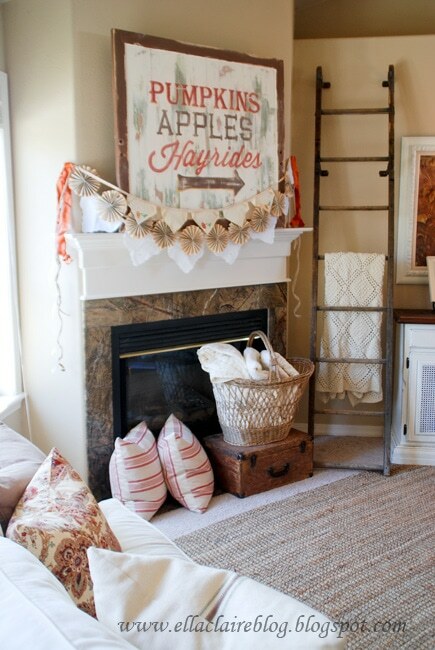 Today, we’re talking all about beautiful Fall mantels. If you missed part 3 — “10 Gorgeous, DIY Fall Wreaths” — click here for some amazing and creative autumnal decor! I hope you’re inspired as much as I am to add more touches of autumn to your home for this beautiful season! 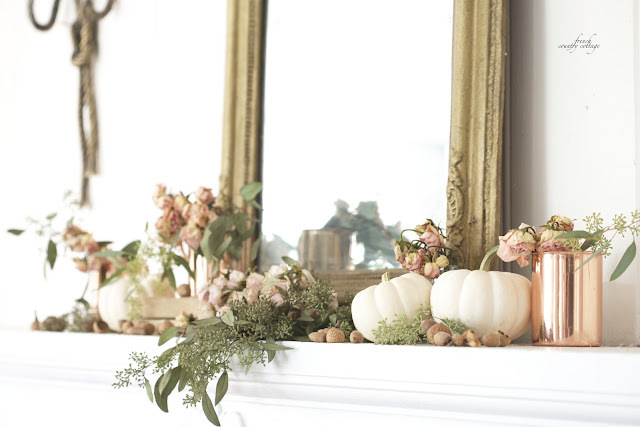 Loving these pretty neutrals on this mantel…the copper, the gilded mirror, the white pumpkins, the acorns, the greenery. All against a white backdrop. So simple, yet so elegant! 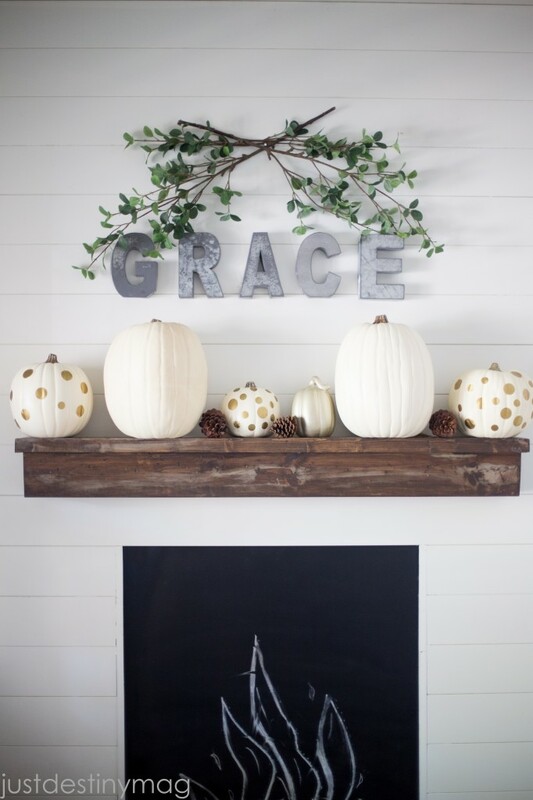 And how gorgeous is this mantel?! 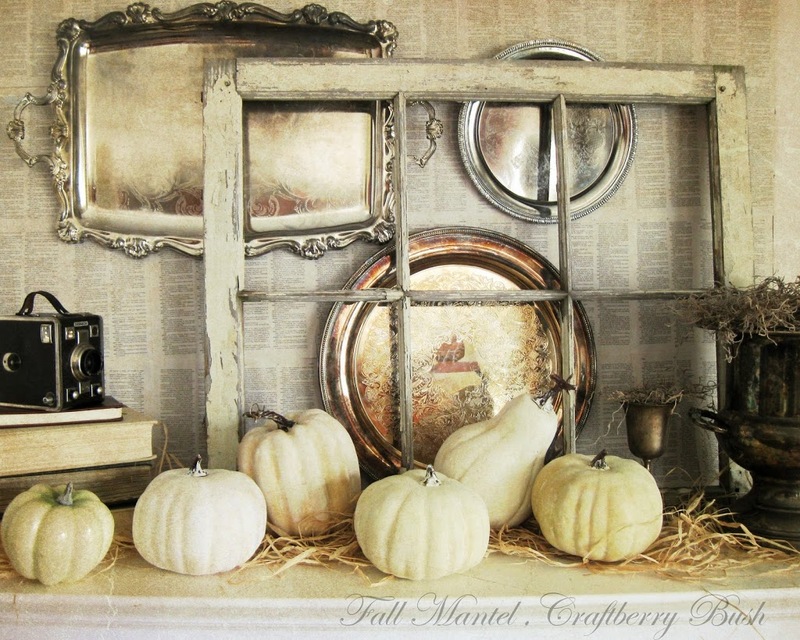 So many unique items in this pic came from a thrift store or her backyard….Just goes to show you that you can totally make your mantel look stunning under a tight budget! Also, the black chalkboard paint pops against all the white…and the DIY muslin garland acts as a gorgeous finishing touch! 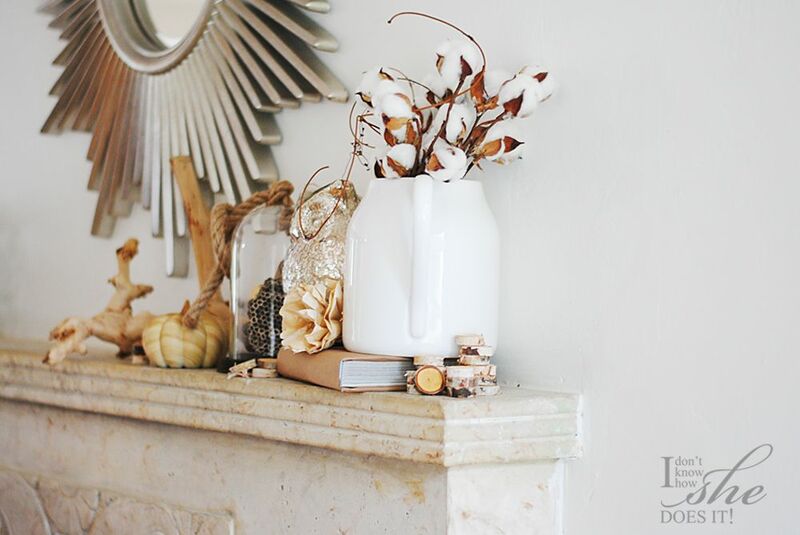 This next mantel also contains thrifted items and bits of nature from the blogger’s own backyard. I love the beautiful DIY paper-feather wreath! Notice, also, the symmetry of the decor on the mantel — branches tower the fun taxidermy on either side of her fireplace! Below is our mantel from last year. 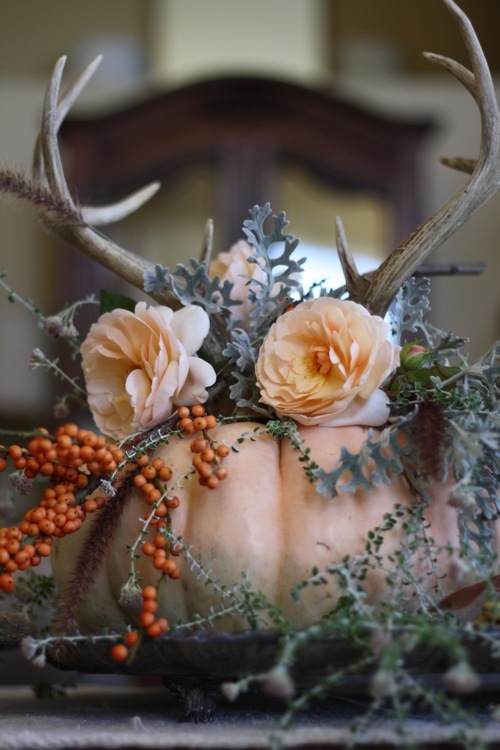 It was full of natural elements (pinecones, antlers, and real and faux pumpkins) and thrifted items. The silver pitcher is actually from Restoration Hardware, but I bought it at Goodwill for $2! And I made the DIY mossy “B”…a simple project that took a mere 5 minutes. The wood charger and the bust came from Hobby Lobby, and the faux birch-bark candle holders came from my sweet mama. The DIY garland was just a spool of pompoms hot-glued to pre-cut canvas shapes from Michael’s. I then used a sharpie to write the word FALL and then glued the fabric flowers onto either end. Easy peasy! It’s definitely not perfect, by any means, but it helped to tie everything together. And how fun and unique is this mantel?! Everything on this shelf was under $6 per item! So cool. 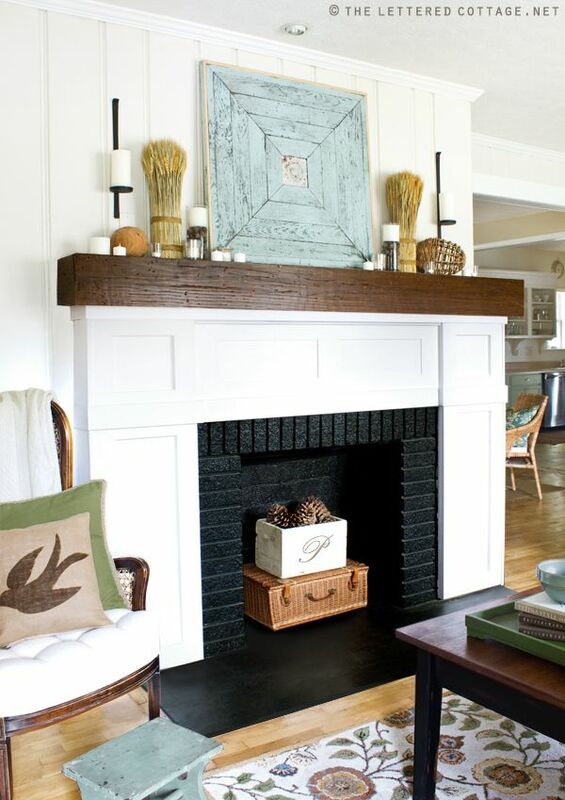 What do you think about this decorated mantel? 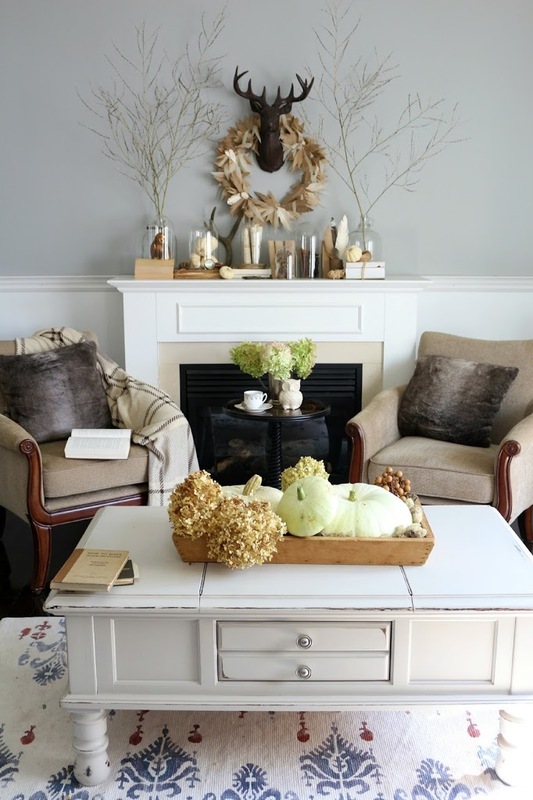 She incorporated lots of neutrals that can transition with the change of seasons. All she’ll have to do is simply replace a couple of Fall pieces with Christmas ones! Bingo! Love this mantel and how this blogger thought outside the box and used very unconventional, yet super cool, items that give that space a “collected over time” feel. Look at the pretty colors and fun details of this mantel! I love how this blogger incorporated beautiful, antique silver with old book pages that have such a pretty patina. And that glass-less window has the perfect aged look to it! 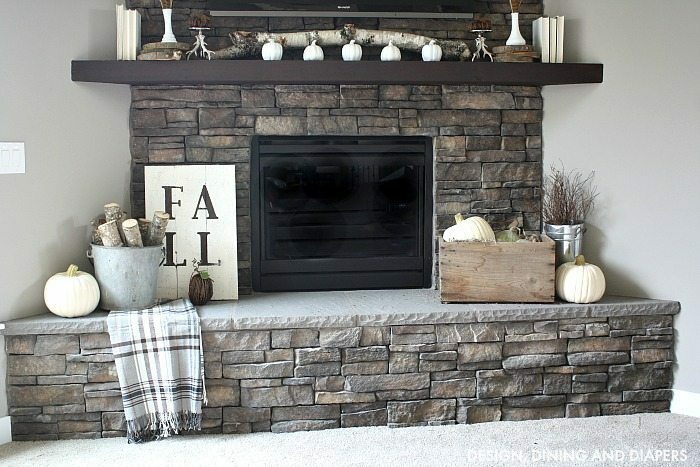 This neutral mantel dressed up for autumn is so fun! 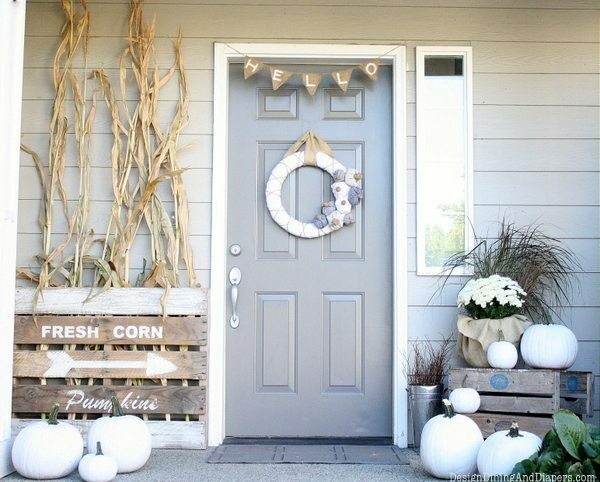 Those white pumpkins came from the dollar store and were transformed with a little paint! And let’s not forget the bottom of her fireplace — the cozy plaid blanket, the old wooden box, the galvanized bucket holding the birch logs…Love it! Well, you have just viewed 12 inspiring mantels. Whew! Those were some gorgeous vignettes! Which was your favorite? 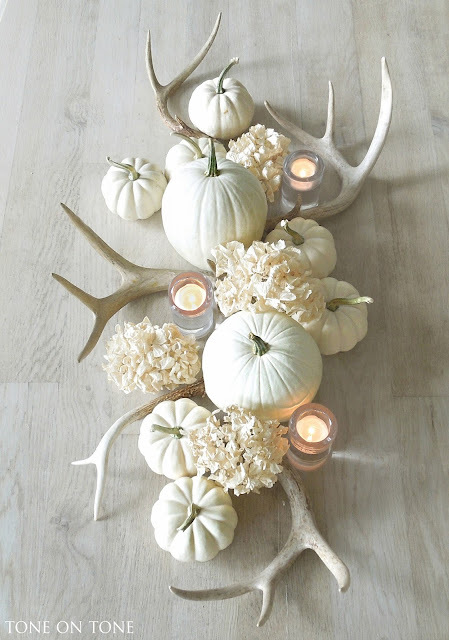 Are you inspired to decorate for Fall yet? 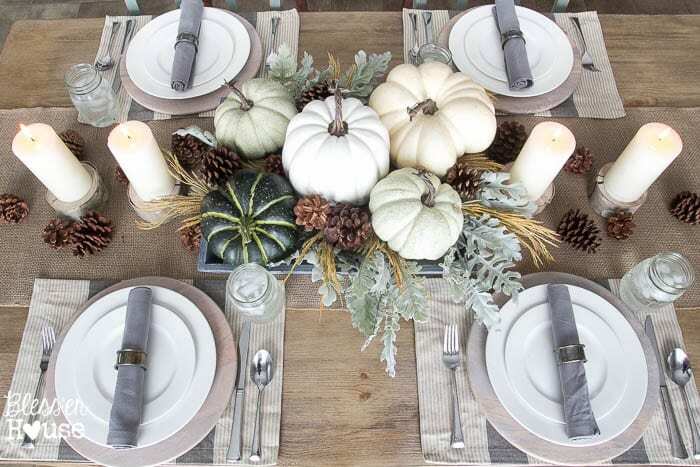 Up next in the line of the “Phenomenal Fall Favorites” series is part 5, “Rustic Fall Tablescapes.” You don’t want to miss this post! Hey y’all, and thanks for stopping by today! Before we begin, I wanted to remind you to stop by and say hey on Instagram, Facebook and Pinterest, so you don’t miss another post! I always love to hear from my readers! 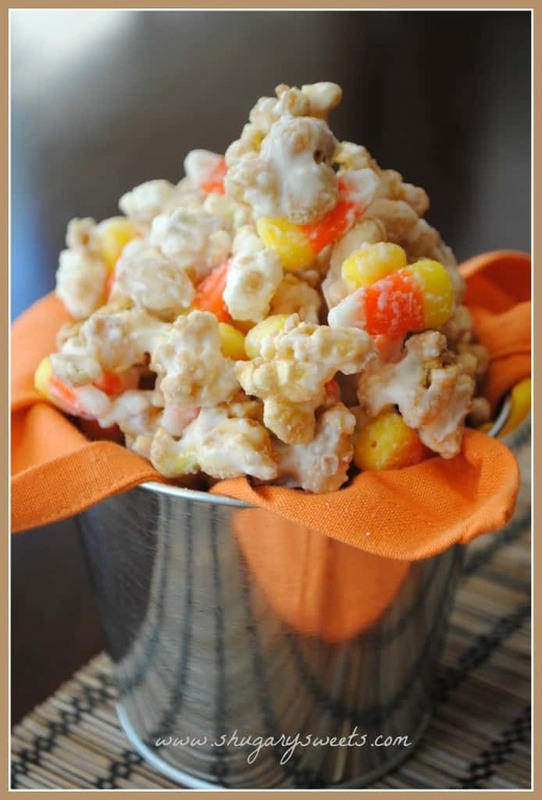 Welcome to part 3 of the “Phenomenal Fall Favorites” series! Today, I’m sharing with you lots of easy diy wreaths for Fall! 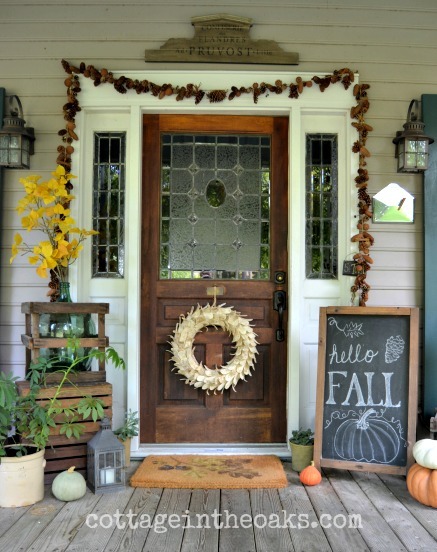 Since I just posted all about gorgeous autumnal front porches (part 2), naturally, this was what had to come next! 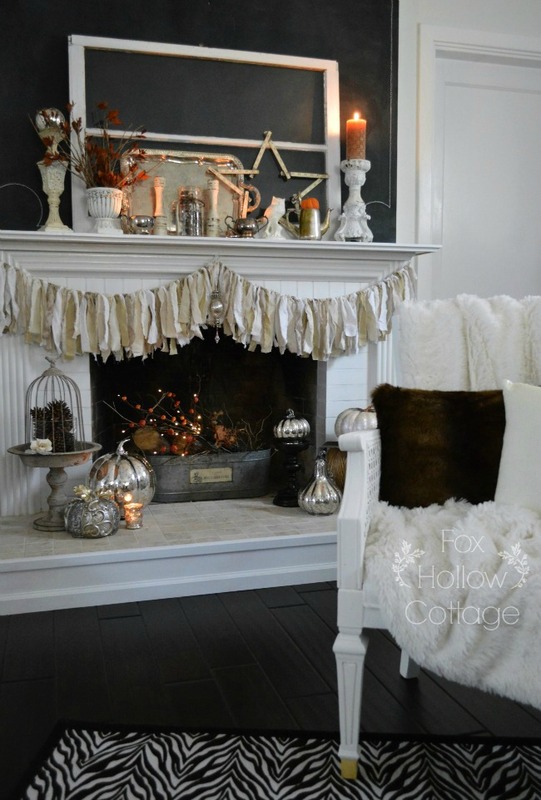 I hope this post will inspire you, yet again, to enjoy decorating for this beautiful season. Look how pretty this apple wreath is! 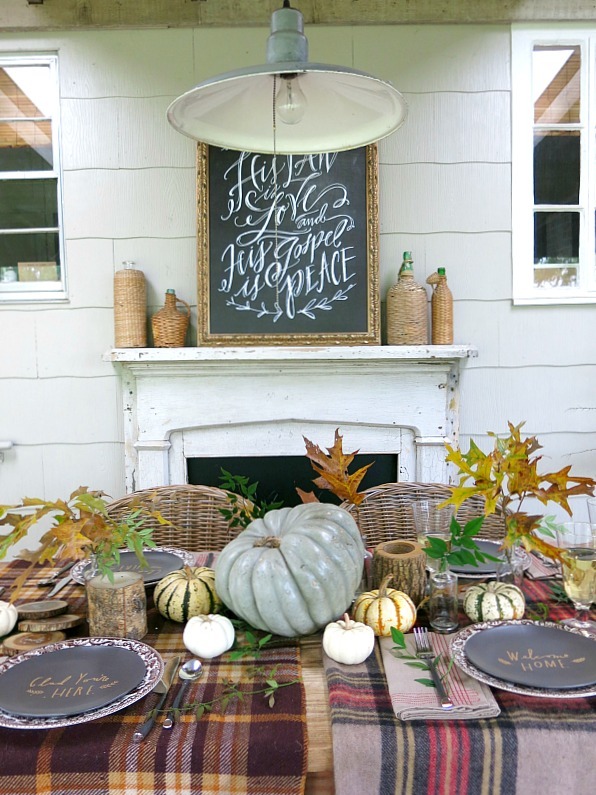 And I love how the blogger hung her wreath on a rustic chalkboard. 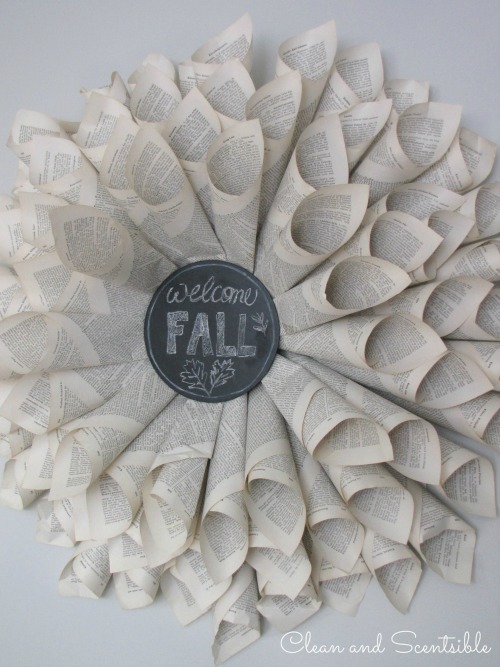 This book-page wreath with chalk art in the center produces a big impact! And did I mention how easy this type of wreath is to make yourself? 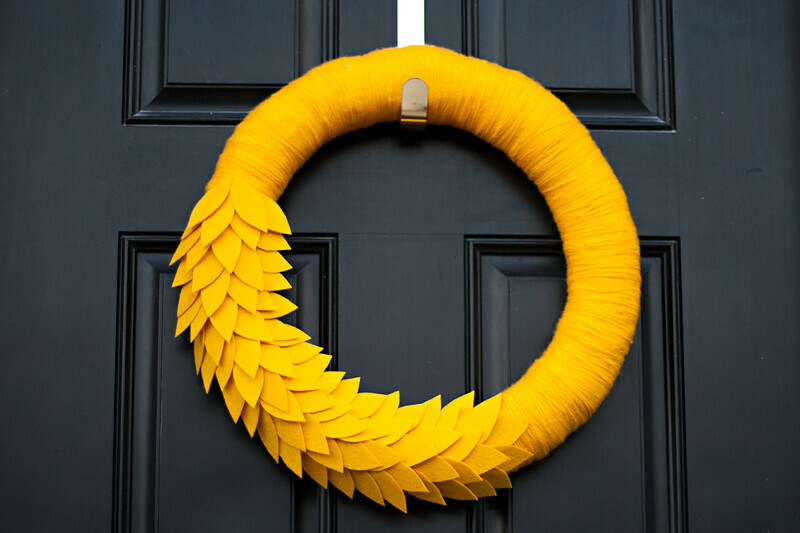 I’ve dedicated a whole blog post to making such a wreath, too. And what are your thoughts about this cotton-ball wreath? I LOVE it, and the good thing is that it costs only $3.50 to make. What??!! So fun! 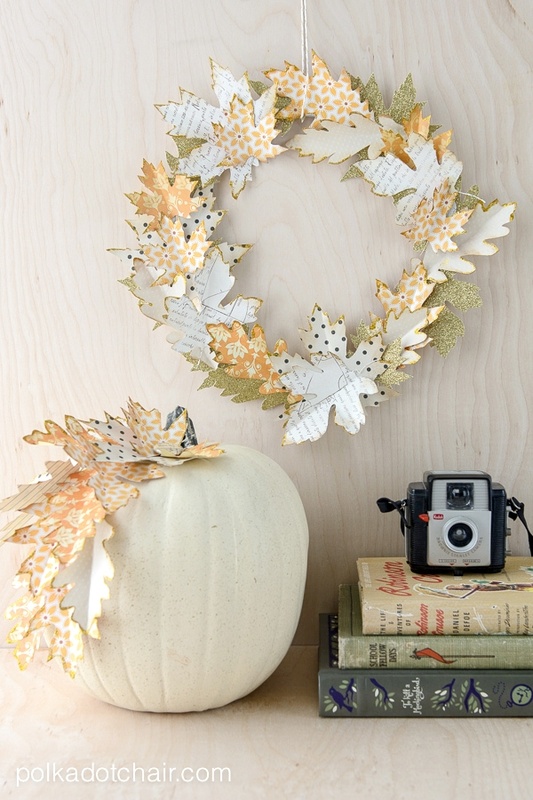 And how about this cute diy paper wreath? I love that you can choose the specific paper you personally like. This diy pumpkin-patch wreath is so easy to make, and I love the bold color palette! 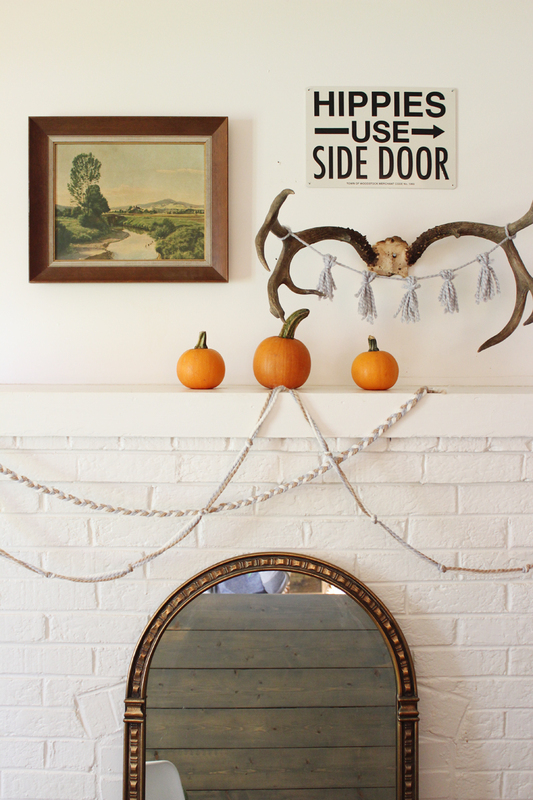 And how gorgeous is this simple diy, neutral fall wreath?! You won’t believe what fabric she used! And wow. Look at this stunner of a wreath that was made with felt and yarn. Loving that bold pop of yellow against the black door, and I love it that she stuck with just one color. This corn-husk wreath sits center-stage as a beautiful show-stopper! Check out this gorgeous wheat wreath! Very chic! 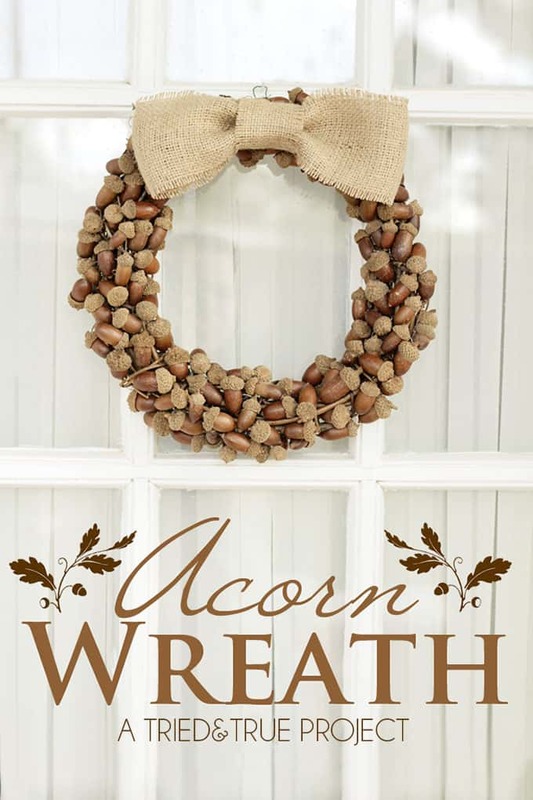 And last, but not least, this rustic, diy acorn wreath is stunning! I love all of these wreaths so much, it’s gonna be hard to make a decision as to which one I should make this year for our front door. Have you made any fall wreaths lately? I’d love to hear about them and see pics! I’d love for you to drop by and say hey on my Instagram, Facebook, Twitter and Pinterest….Or comment below. I always love to hear from you, my sweet readers! Hey y’all! I’m glad you could join me for Part Two of the “Phenomenal Fall Favorites” series! Today, our focus is on making a welcoming front door for this colorful season. 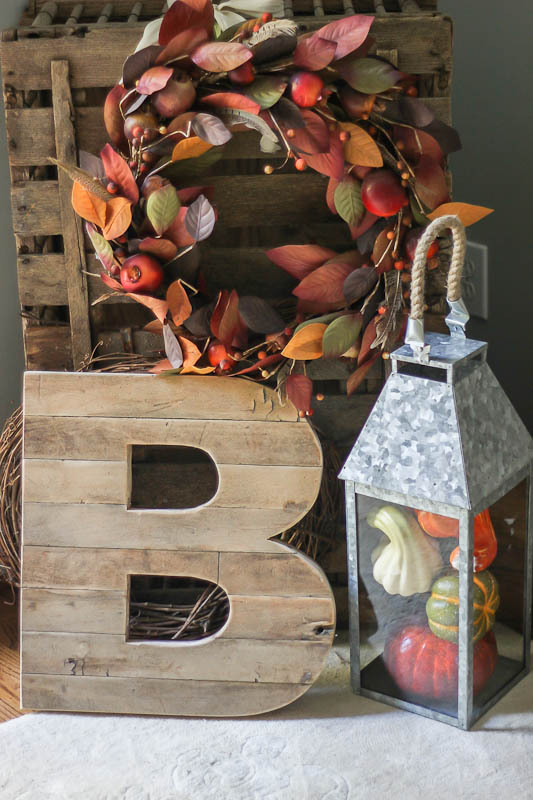 (If you missed part 1, “Thrifty and Rustic Fall Essentials for the Home,” you can click here to see that post.) 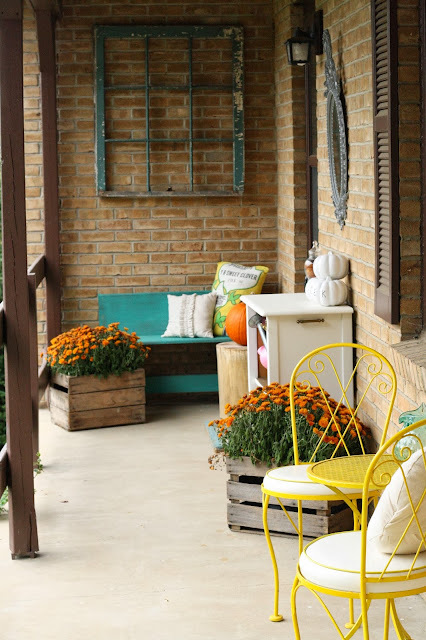 I hope you’ll be as inspired as I am as we take a look at some gorgeous Fall porches! 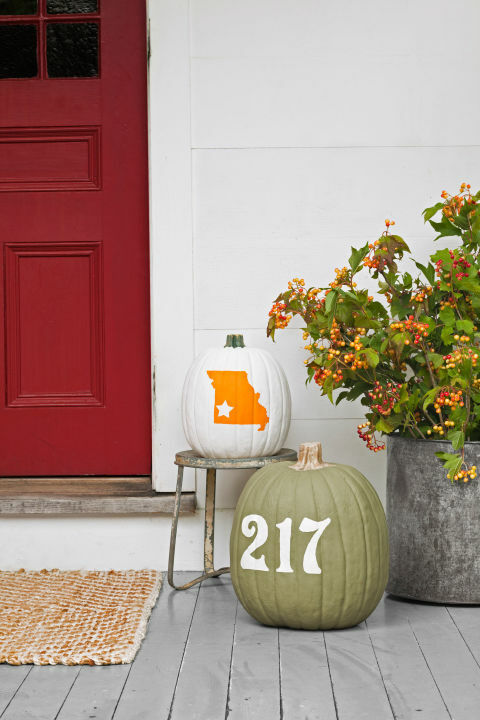 How cute are these painted pumpkins?! So simple, yet so eye-catching! 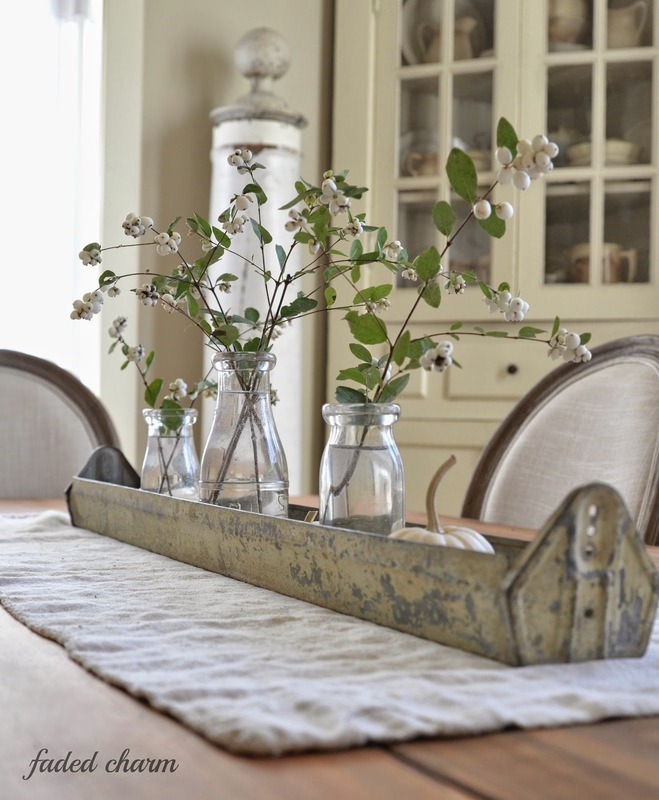 I also love the use of these vintage, galvanized accessories! Loving the abundance of white pumpkins, the height varieties and the old crates! What’s not to love about Liz Marie’s front porch? I’m in love with her church pew! And the way she added accessories through texture is right on. Her pillows, basket, leather ottoman, and throws all mix perfectly with the natural elements that she’s used! How cute is this front door?! The chalk art, the crates, and the pinecone garland are so much fun….Did I mention how much I love those crates?! So pretty! And how about this vintage box with a colorful mum inside? Such a simple, rustic touch! My goodness, this porch is stunning. And her colors are not your typical autumnal palette, but the soft white mixed with the different blues whisper, “Come and sit awhile. Curl up under this cozy blanket, lean back against the fluffy pillows, and listen to the crickets making melodies and the gentle breeze blowing through the crisp leaves.” Aaahhh. Okay, so maybe that sounded a little cheesy, but still, don’t you agree that this space is calling your name?! This inspiring porch is filled with beautiful colors…from the flowers, to the furniture and pillows, to the pumpkins and old window. 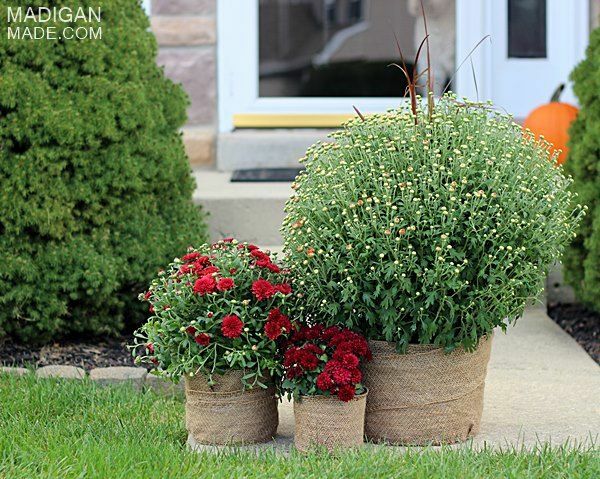 I love the simplicity of these pots with the mums! And her striped rug adds a subtle hint of color. And look at this beauty of a front porch. The leaves are all placed in just the right spot, and I love how she incorporated furniture with fun, neutral pillows — gives it the perfect touch! Also, notice the rustic picket fence, the pretty “farm” sign, and the vintage containers. Just beautiful! 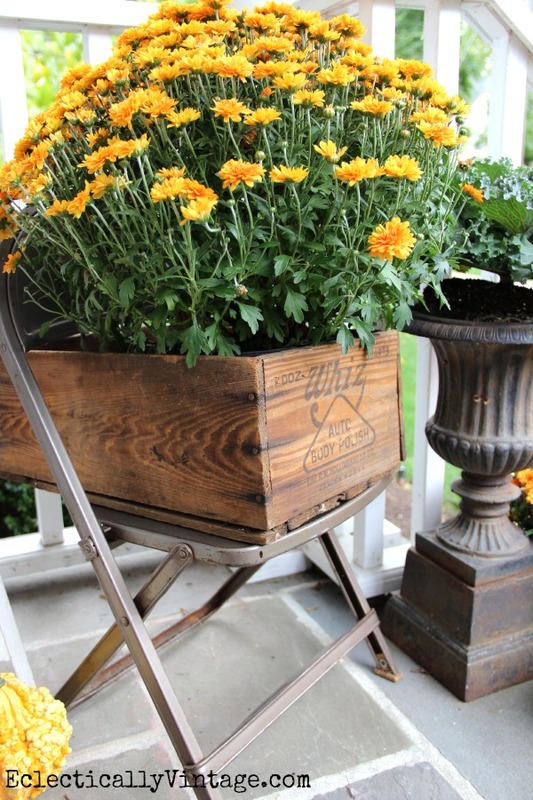 And yet again, another inspiring front porch pic from Liz Marie’s home. Notice the different heights of her decor, the over-sized letter “G,” the vintage items, the fun fabrics and textures and the use of nature. Such beauty! 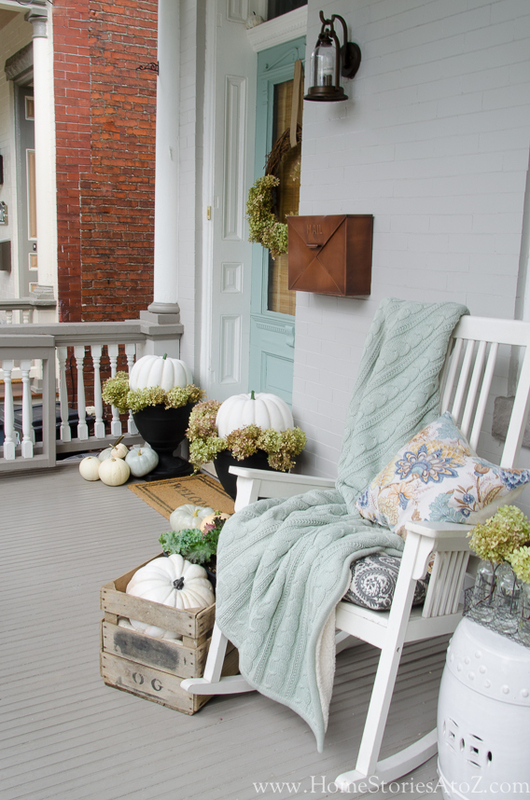 What, to you, makes an attractive porch that gets you in the mood for Fall? I’d love to hear your ideas! 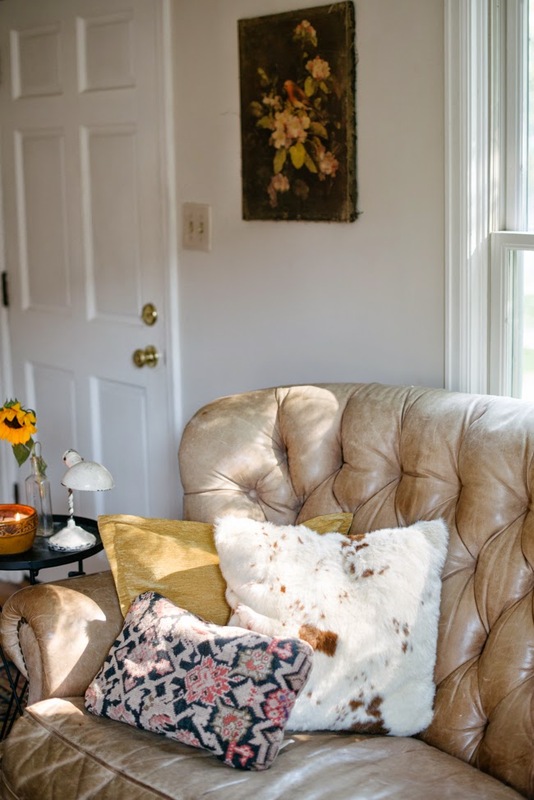 And if you’re interested in Part 1 of the series, “Phenomenal Fall Favorites,” be sure to check out my post on 7 Thrifty and Rustic Fall Essentials for the Home. 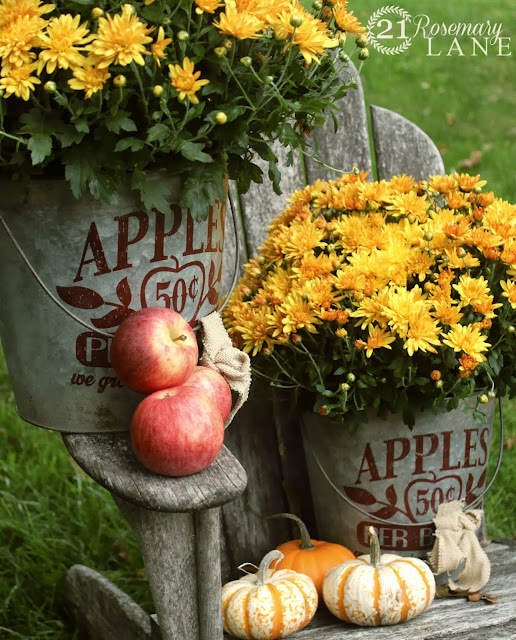 There’ll be more in the coming days, from beautiful, fall wreaths to stunning tablescapes to yummy recipes to fun garlands…all for Fall! Hope to see you again soon! Update: Part 3 of the “Phenomenal Fall Favorites” is up and running! 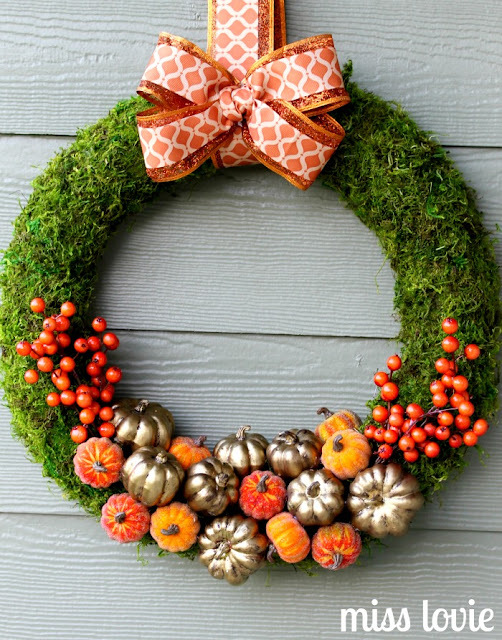 And in that post, I’m talking all about gorgeous, diy wreaths for Fall! And if you have a minute, stop by and say hey on my Instagram, Facebook, Twitter and Pinterest….Or comment below. I always love to hear from y’all! Hey y’all! 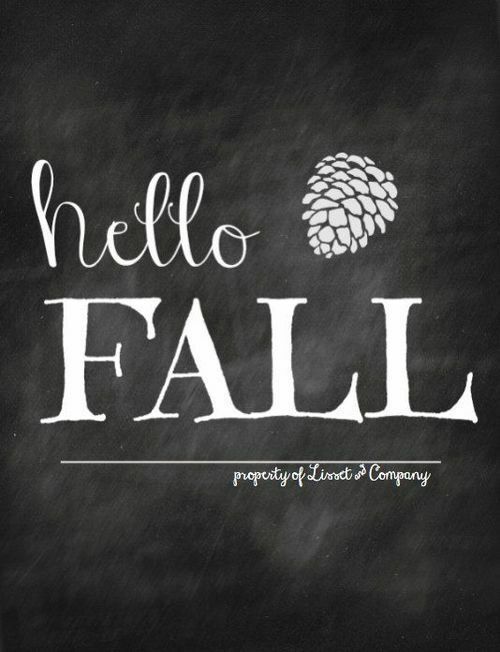 I don’t know about you, but I’m so excited for the upcoming fall weather! And with the changing of the temperatures comes the changing of my home’s decor. I mean, I absolutely love summer, but I also love a fresh start. Freshening up my home helps me to re-evaluate what I need to keep and what I need to purge. So, with that fresh start, I’ve begun an 6-part series called, “Phenomenal Fall Favorites.” (Click here for the roundup of all 6 posts.) 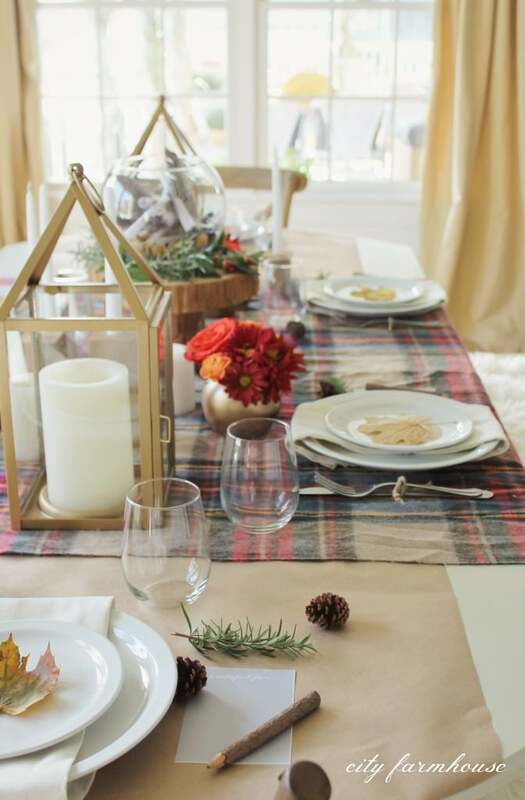 I’d love for you to follow along with me for the next couple of weeks, as I present to you lots of the latest and greatest inspiring ideas when it comes to decorating your home! So, let’s get to it. 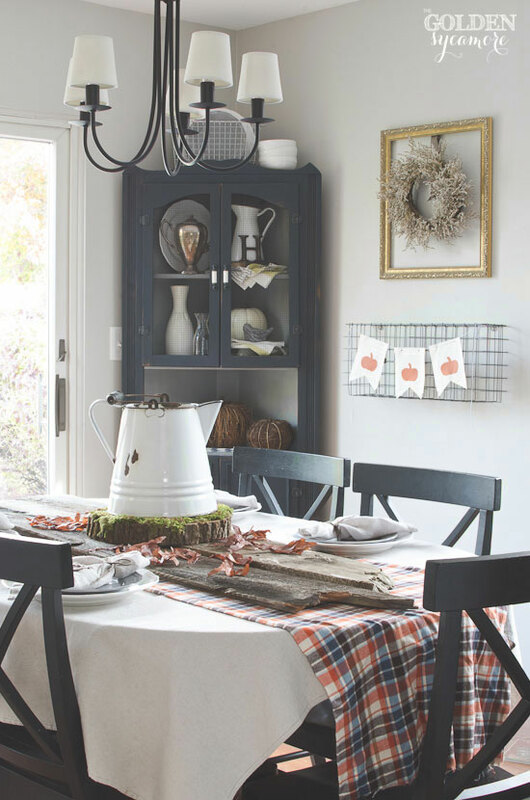 Today’s post is part 1 in the series, and it’s all about thrifty and rustic Fall essentials for your home. 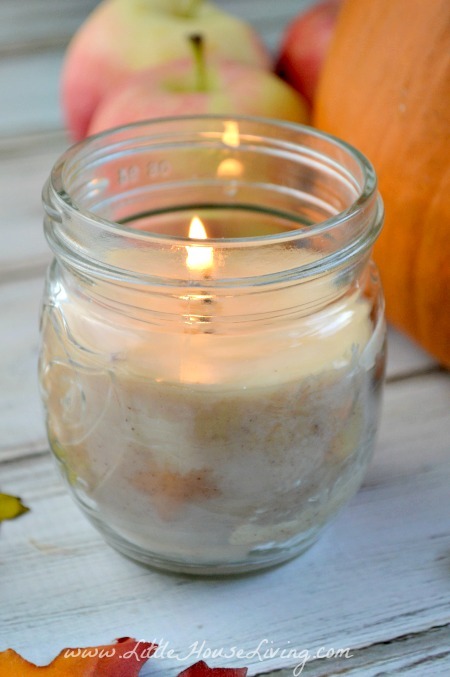 If you’d rather make your own candles, here’s a great DIY tutorial on “Pumpkin-Spiced” candles. Also, another great tip for giving that fall-like ambiance in your home is to use flameless, battery-operated candles on a timer. Just set them to turn on automatically at a designated time each evening, and let your candles bring in a cozy, warm atmosphere! I promise, you’ll love it! Shop the outdoors, or more specifically, your yard, to bring in vibrant colors and some natural elements. Examples include acorns, pinecones, colorful leaves, pumpkins, cotton branches, moss, birch logs, and — my favorite — antlers! Examples might include barrels, trays, pots, pitchers, lanterns, chicken feeders….The list goes on and on! I recently did a post on how to “age” a plate rack from a brand new chicken feeder. (Click here for the easy tutorial.) Because we all know that a rustic, galvanized plate rack can cost an arm and leg, so why not make one yourself?! 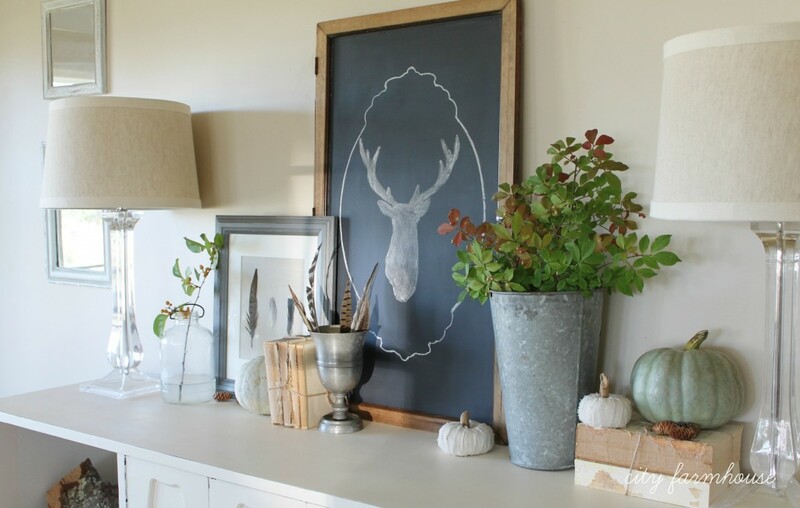 Incorporating chalkboards into your Fall decor is another rustic touch. Don’t have a chalkboard? It’s so easy to make one yourself….And it should only cost you a few dollars total! (Click here for the simple diy chalkboard tutorial.) Now to the fun part — diy chalk art. Check out the inspirational designs below. Just remember, if you don’t like to do your own chalk art, there are vinyls that you can add to your chalkboard (e.g. at Hobby Lobby or Michael’s), or you could always use a stencil for your chalkboard. 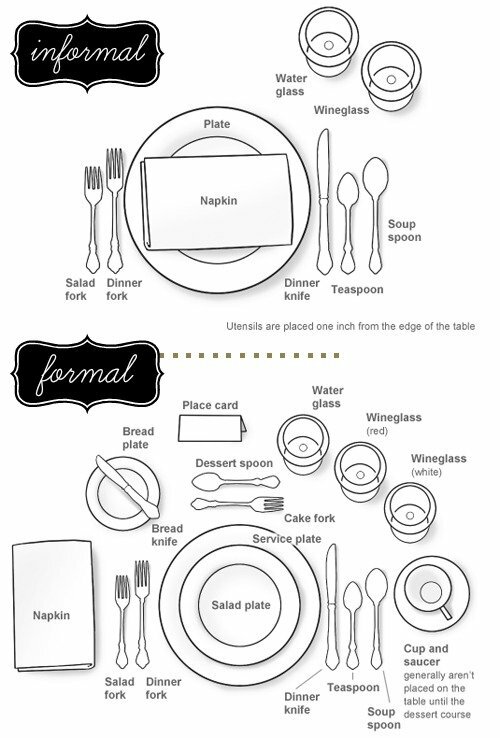 Examples include vintage crates, old kitchen linens and hotel silver. All of these fun ideas can definitely be found at thrift stores and antiques’ stores for fantastic prices! 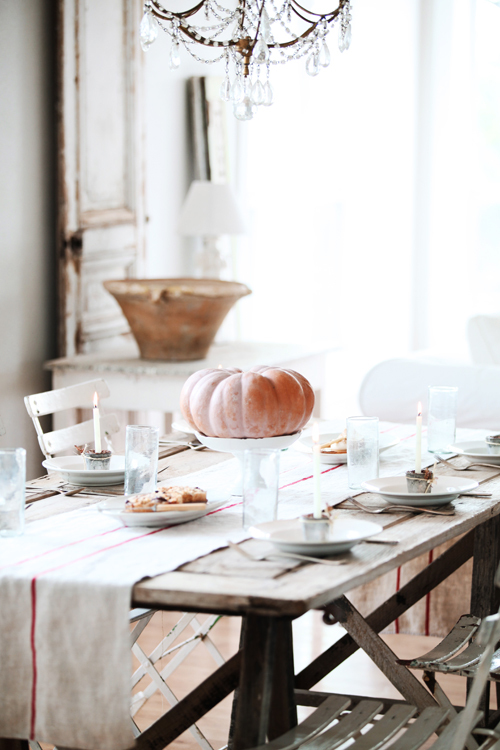 Well, there you have it, friends — a list of 7 thrifty essentials for rustic, Fall decorating! What do you think about this list? How are you planning to decorate your home this year? I’d love to hear all about it! 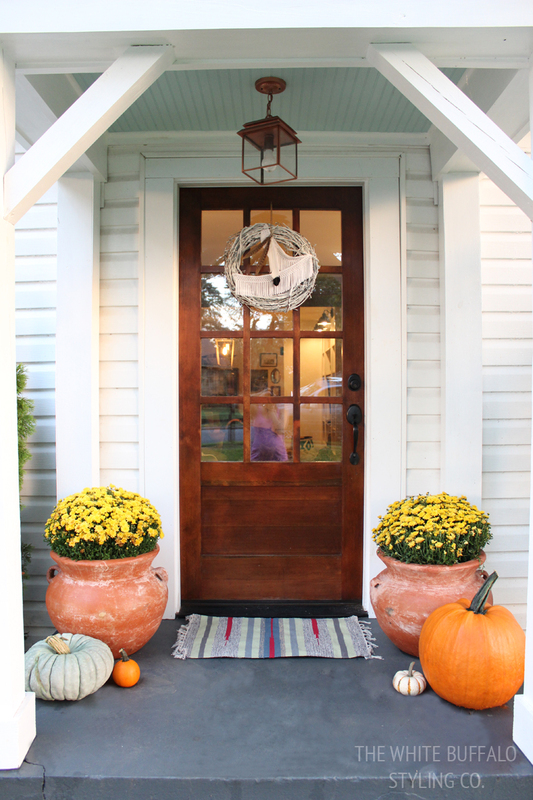 The next post, part 2, in the “Phenomenal Fall Favorites” series is all about making an inviting front porch for Fall! There are six categories in the “Fall Favorites” series, and each post will have the next category. I hope you’ll check it out and let me know what you think.